When it comes time to look for your next best hunting companion, the question you must ask yourself is, “Do I get a pup, started, or finished dog?” Depending on your situation there are both pros and cons to each. Whichever way you decide to go, there are some questions you should think about. Let’s start with looking for that cute, cuddly, and vivacious puppy. There are many obvious reasons as to why you would want a puppy. They are cute, cuddly, and for sure the wife and kids will love them at first sight. While these aspects of a new pup are all true, sometimes people forget about ALL the responsibilities of a puppy. Let’s take a look at some of the most obvious and troublesome. First, there are the late nights or, what I sometimes like to call, Hell Week. When you first bring your puppy home, you will need to crate train the little guy or gal. Immediately, all you will hear is barking, which needs to be corrected. This will continue until the puppy is comfortable in its new surroundings and is used to being away from its mother, brothers and sisters. Some pups will find their place and comfort in the family faster than others. Patience and understanding are essential in the crate training process. Over time, the pup, and soon to be dog, will find comfort and will likely seek out its kennel as a place to relax, sleep and feel safe. Then comes the always the dreaded, potty training. This cringe worthy situation will surely make your wife very unhappy and take some of the “cuteness” out of the new family member. While it is a temporary setback, it is a fact of bringing home a pup. The best thing to do is catch them in the act before the “accident” happens and let him or her outside. By getting him/her outside and, “cutting off the problem,” the dog will start to associate relieving him/herself outside on the grass, or at the very least in nature (instead of the carpet or wood floor). Timing in training is one of the most important things. The next habit to break is the chewing on everything, including your kid’s toys, shoes and whatever else is in the puppy’s path. Puppies have a natural urge to chew on things. Again, it is essential to “catch them in the act” to prevent and stop this habit. A firm, “NO,” will likely be enough as the pup is wanting to please, and seeing that this is unacceptable, will make for a quick behavior change. And, besides the inherent physiological setbacks, let’s not forget about cost. The vet checkups, shots and the puppy food are all part of the equation. Add it all up, and a new puppy can get costly. One of the last issues is time. Everyone’s situation is different at home. Having a puppy can be very time consuming. For many, letting a new puppy out every two to three hours is not an option. You may have to hire someone to do this for you for a few weeks in order to get through this phase of the dog’s life. It is hard to put a dollar amount on time, so for each person this cost is different. The question becomes, is the time/cost worth it in having a pup? 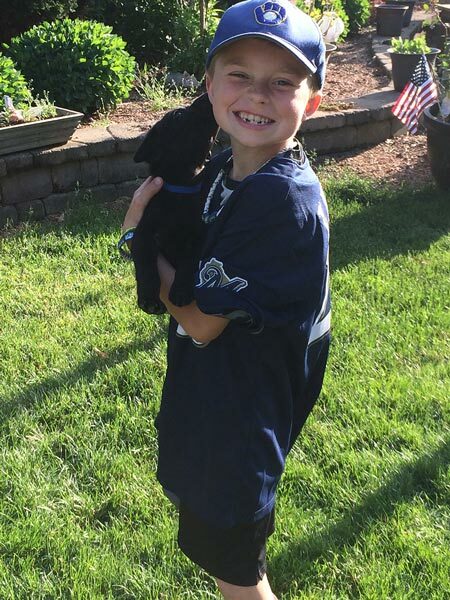 Now, after all of that, you may ask, “Why would you want to start with a puppy?”  The number one reason is the bonding time with him or her. This bonding time is a great thing and shouldn’t be taken lightly. Puppies tend to grow on you and you most definitely grow on them after all of the trials and tribulations that come with the pup’s upbringing. (Plus, they are, darn cute). This bonding aspect is what most people love. So, if you are in the decision phase of a pup vs. started/finished dog, be sure to consider the fore mentioned points in weighing the benefits against the complications of buying a puppy. Now, if, due to time constraints, health, finances, etc. a puppy is not what you have in mind and want to skip all of the “growing pains” that come with it, a started or finished dog might be your best bet. First of all, what’s the difference between a started dog and a finished dog? Well, a “started dog” is past the puppy stage, has basic obedience, and is likely force broke- meaning that he/she can retrieve to hand. These “started dogs” have the ability to do short mark retrieves at about one hundred yards and inwards. 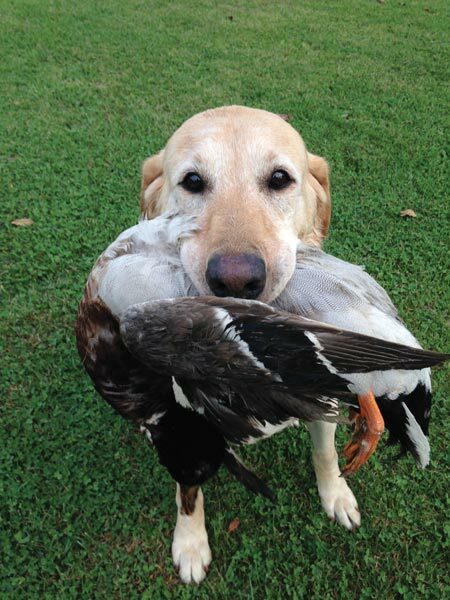 A “finished dog” is one that has seen it all, “been there, done that.”  He or she has done blind retrieves, is steady to wing shot position birds, wipeout birds, breaking birds, and more. So basically, they are at a master hunter level or in the field trial world; Qualified All Age Level. 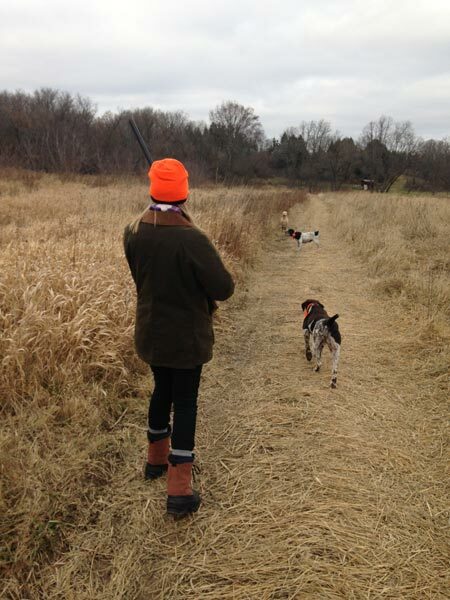 For a great hunting dog, that’s all you need. I always tell people that if I was not in the dog training business, I would buy a more advanced older dog. “Why is that?” You may ask. Simply because I can avoid all the puppy stuff, and be ahead on money, time and headaches. I have trained many dogs and even shipped some dogs to different countries. I can I appreciate the bonding that comes with a puppy. It is never easy to say goodbye after having spent quality time with a young dog. I have experienced the “bonding effect” numerous times. Now, the question is what to pay for a puppy, started or finished dog? The determining price to pay comes down to whatever anyone is willing to pay at that given time. The initial price will seem like a lot. But, with a started or finished dog you are avoiding many other bills that come with owning a puppy and then getting it professionally trained. Also, if looking to get a puppy, consider the fact that the more reputable the kennel and the higher the price you pay upfront will greatly increase your chances of having a quality, well-bred dog to enjoy for years to come. Versus, “rolling the dice” by paying very little or nothing and taking your chances on how the dog turns out. Let’s face it, all puppies are cute. But, like babies, they don’t stay puppies forever. Now, for your decision making process, I would use the following questions as a starting point in the decision of purchasing either a puppy, started, or finished dog. These questions will help in deciding what the best choice is for you. 1. Do I want a male or female? 2. What kind of upland or duck/goose hunting do I do most? Do we want a pointer or flusher? Am I looking for a dog with a lot of drive? Or, one that is a steady hunter and is also able to unplug and sleep at my feet? 4. Do I know what color or markings we want on a dog? Size? 6. How far am I willing to travel in purchasing a dog? I would say as far as a started or finished dog, you can surely get one that is great for you. You just have to look and ask questions. Ask a lot of questions. Based on my experience, some are concerned that a started or finished dog will not bond with them the same as a puppy. You would be surprised how well a little bit older dog can get attached to people if they spend the time with them and get to know them. I have sold dogs to people and checked in on them years later. I was told that was the best thing they did. The dog became strongly attached to them and they loved their hunting buddy all the same. When I sell a dog to someone, I want the dog and its owner to be happy, and the new owner to truly get to enjoy a trained dog. So, when deciding on a new puppy, or contemplating a started or finished dog, be sure to carefully consider each. Truly weigh the pros and cons of each side. The decision shouldn’t be taken lightly and it is one you will happily live with for years to come.